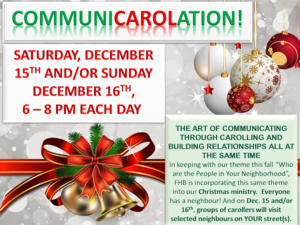 Sing and Communicate with our neighbourhoods. We are so excited to be doing something fresh and new this year!! !